Hanoi (VNA) - Vietnam is working towards achieving higher levels of food security. In recent years, the country has adopted various measures to boost agricultural product exports, filling gaps in the global food market. Vietnam’s Ministry of Agriculture and Rural Development (MARD) reported that export earnings from farm produce in the first nine months of 2017 were estimated at 15.62 billion USD, a year-on-year increase of 15.2 percent. Meanwhile, aquatic and forestry products brought home 6.73 billion USD and 6.44 billion USD respectively, up 17.6 percent and 9.9 percent from the same period last year. The ten-month export volume and value of Vietnamese rice hit 5.05 million tonnes and 2.25 billion USD, annual increases of 22.3 percent and 21.1 percent, respectively. The country earned 206 million USD from exporting 430,000 tonnes of rice in October alone. China, Japan, the United States and the Republic of Korea were the top four importers of Vietnamese vegetables and fruits, though China remained the biggest importer of Vietnamese rice, snapping up 39.3 percent of the country’s rice exports. With climate change’s impacts on agriculture having been a pressing issue for years, policies of the Government and the engagement of localities and businesses have contributed significantly to producing such outcomes. In 2008, based on the Global Good Agricultural Practice (GlobalGap), EurepGAP, ASEANGAP, and Hazard Analysis and Critical Control Points (HACCP), among other sets of standards, Vietnam developed its own VietGap standards, with criteria more suitable to the local agriculture sector. VietGap, consisting of 65 standards, helps ensure safe production and traces the origins of agro-aquatic products. To encourage the engagement of farmers, in early 2012, the Government issued support policies for VietGap followers in the agro-forestry-fishery sector. As part of the policies, the State offers to fully pay soil and water assessment costs for VietGap farmers and up to 50 percent of construction costs for relevant infrastructure. The MARD, with the assistance of the Japanese International Cooperation Agency (JICA), also built the Basic GAP, including the 26 most basic criteria among 65 standards of VietGAP, helping farmers reshape their practices gradually. In response to the Government’s efforts to boost the quality of domestic production, several localities have issued their own support policies for VietGap farms. They include Son La, Lao Cai, Dien Bien, Hau Giang, Long An, Tien Giang, Lam Dong, Binh Duong, and Ho Chi Minh City. The Cultivation Department said in the first six months of 2017, VietGAP certification agencies accredited 306 production establishments, which operated on a total of 2,720 hectares. As of Jun 30, 2017, the nation had 1,390 VietGap-certificated farms spanning 18,235 hectares, of which about 10,796 hectares grew fruit trees, over 4,385 hectares vegetables, 1,933 hectares tea, 993.53 hectares rice, and 127 hectares coffee trees. Technology is the key to the agricultural growth in the long run. In 2012, the Government approved a national plan on the development of high-tech farming by 2020. As of March 2017, the country had 15 hi-tech agricultural projects nationwide. The Government has to date approved three high-tech farming zones in Hau Giang, Phu Yen and Bac Lieu provinces, while the Ministry of Agriculture and Rural Development has licensed 26 high-tech businesses, nine of which invest in advanced cultivation technology. 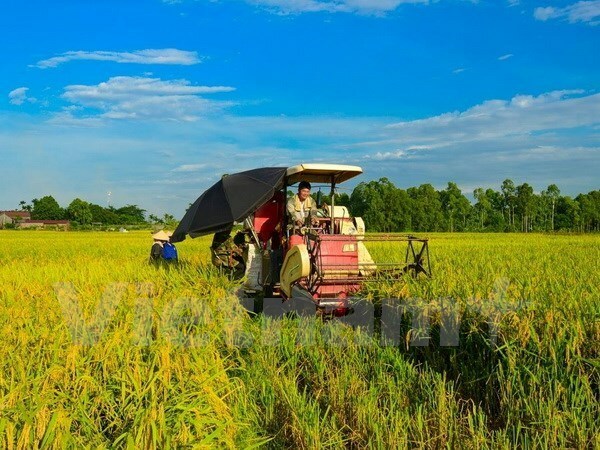 Under the Government’s Decision 176/QD-TTg, by 2020, Vietnam aims to house 200 high-tech agricultural firms and 10 high-tech agricultural zones, and the sector is expected to grow by more than 3.5 percent annually. Organic farming has also emerged in Vietnam. In 2015, the Ministry of Science and Technology issued a set of standards guiding the producing, processing, labeling and marketing of organic food products. Deputy Minister of Agriculture and Rural Development Tran Thanh Nam said organic farming areas in Vietnam have been increasing in recent years, reaching 76,000 hectares in 2015, 3.5 times more than in 2010. Vietnam considers foreign investment an important part of the economy. In December 2014, the country passed the Investment Law, aiming to improve the investment climate. The Government’s Resolution 19 on improving the business environment and national competitiveness was approved the same year and adjusted in 2016. In 1997, Vietnam became a member of the International Fund for Agricultural Development (IFAD), an agency of the United Nations. According to Deputy Minister of Finance Tran Xuan Ha, the IFAD is helping Vietnam to carry out 17 projects worth about 500 million USD across 11 provinces, focusing on disadvantaged mountainous areas. Canada is a significant supporter of Vietnam’s agriculture. With an advanced farming sector, the country has provided the Vietnamese Ministry of Agriculture and Rural Development with funding for two projects. The first one was the “Food and Agriculture Products Quality Development and Control Project” worth 17 million CAD (12.9 million USD). It aimed to improve the quality, safety and market accessibility of Vietnamese products, including vegetables, tea, pork and poultry, via production and processing renovation. The project helped Vietnam build and complete regulations and technical quality control on food safety and put several production chain models into practice. The second project had a budget of 500,000 CAD (379,377 USD) and ended in December 2016. It was designed to encourage private investment in the agriculture sector, renew policies and improve productivity. On a smaller scale, in March 2017, Loc Troi Group, a leading provider of agricultural services and products in Vietnam, and the World Bank’s International Financial Corporation (IFC) launched a project on sustainable rice production. With the Canadian Government funding the project via the IFC and the International Rice Research Institute providing technical assistance and training, Loc Troi is expected to become the first firm in Vietnam to adopt the standards of the Sustainable Rice Platform (SRP), a multi-stakeholder partnership to promote resource efficiency and sustainability, both on farms and throughout the rice value-chain. 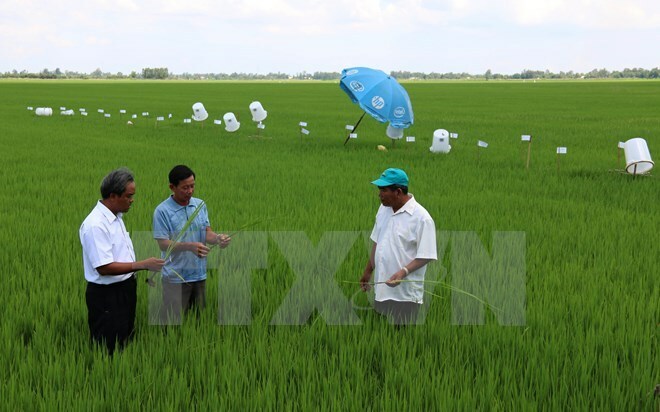 The two-year scheme was subsequently scaled up to train up to 4,000 farmers in the Mekong Delta region, who work in the Loc Troi network, to grow rice following SRP standards by 2018. “The project will provide effective training to ensure a consistent application of SRP standards to meet performance indicators in the material area, which will help us build a specific high-quality rice brand, able to compete in international markets,” Huynh Van Thon, Chairman of the Loc Troi Group, said in an IFC press release. To date, Loc Troi has exported its rice products to 36 countries worldwide, including the US and Australia. At a Q&A session of the 14th National Assembly’s third meeting in June this year, Minister of Planning and Investment Nguyen Chi Dung said overseas capital in agriculture remains a fraction of total foreign direct investment in Vietnam. 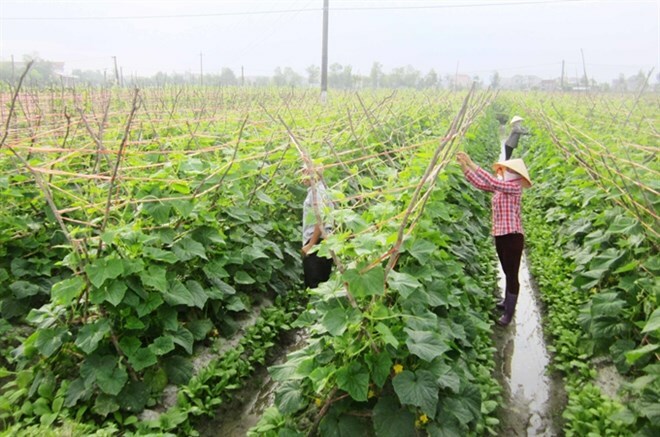 Despite its small amount, the funding has created opportunities for the sector to grow, as it often comes with technology transfer or export of farm produce in Vietnam back to the investors’ countries or other overseas markets.